As stated earlier, no income tax return is to be filed by a non-resident Indian in circumstances. Similarly, where a non-resident Indian has in India, a total income below the taxable limit of `. 2,50,000 for the financial year 2014-2015, he is not required voluntarily to file an income tax return. However, an NRI may, of his own will and choice file an I.T. Return, even where the total income in India does not exceed `. 2,50,000. In other cases, namely, where a nonresident Indian has income exceeding the exemption limit and is not governed by the special procedure of assessment of income tax at the uniform rate of 20% he would be required to file an income tax return voluntarily. Under Section 139(1) a non-resident Indian, like any other tax payer, is required to voluntarily file his income tax return in Form No. I or 2 or Form No. 3, or Form No. 4, as the case may be, on or before 31St July of the assessment year concerned if he has a taxable Indian income. If the NRI is subject to tax audit, the last date for filing of I.T. Return is 30th September. For example, if a non-resident Indian has earned some business income in India for the financial year ending 31 March 2015 he can voluntarily file his return in Form No. 2 on or before 31 July 2015. 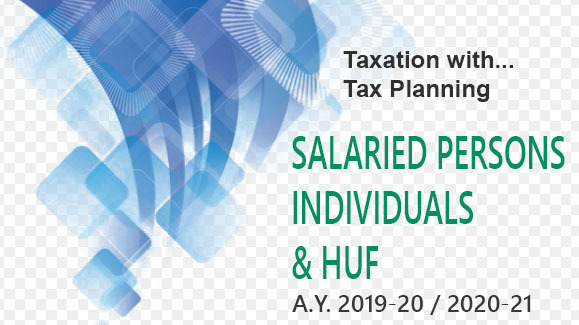 Self-assessment tax under the provisions of Section 140A must be paid before filing the return of income and a copy of the challan for the self-assessment tax must be enclosed with the return. All necessary statements, challans, certificates, etc. regarding the details of the income of the non-resident must be filed along with the return of income. In case of belated return, penal interest at 1% p.m. is payable.